Today Jesus is reminding us, not to ignore them; if possible, offer the help needed, at times, we use carnality to conclude that they are mentally disabled; personally, I disagree with that thought, it is of the devil, he is the one who condemns souls, many of these individuals find themselves in these types of predicaments because of circumstances beyond their control, let's step into their shoes, imagine ourselves in such circumstances; even if we think negatively towards them, it is our prerogative, as believers, let us do the right thing for them, for our rewards are eternal, as the favor of Jesus rests upon our lives, let us show favor and kindness towards others as well; do to others, as we wish others to do unto us. cf. Luke 6:31; knowingly or unknowingly, the little things that we do for others, goes a long way to determine our fate before the throne of judgment, for we do them for Jesus; therefore, let us love one another as ourselves, be kind, tenderhearted, share our blessings with others. Jesus is coming back again soon, be ready! Peace and Love be unto you! Amen and Amen! (KJV.) Proverbs 19:22 The desire of a man is his kindness: and a poor man is better than a liar. (27) And he took the cup, and gave thanks, and gave it to them, saying; Drink ye all of it. Grace be unto you! It is an imperative aspect that a believer partakes of the Holy Sacrament, for, it is a symbolic grace of Jesus Christ's redemption unto humanity; therefore, he said, "do this in remembrance of me." cf. Luke 22:19: remember that there is no one righteous, no not one, cf. Matthew 19:17; therefore, whenever we partake of the Holy Sacrament, we indulge ourselves in the redemption that he provided, our transgressions are done away with over and over again, as we continue to dwell under the blood umbrella of protection, enjoy free grace, salvation, the hope of everlasting life. In a nutshell, Jesus Christ, on the night before his betrayal, sat at the Passover dinner table with his disciples; took bread, and blessed it, and brake it, and gave it to the disciples, said unto them; "Take, eat; this is my body:" cf. 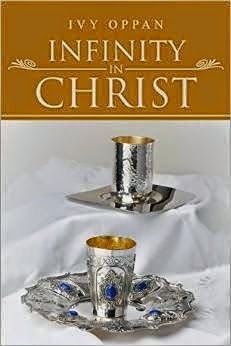 Matthew 26:26; therefore, as often as we eat the bread offered at the Holy Sacrament, read his words, we partake of his body and are bonded together with him by the Holy Spirit, which dwells within our hearts, and we dwell in him as well; consequently, he took the cup of wine, gave thanks, offered it to them, said; Drink ye all of it. cf. 26:27; he commanded them to make sure that each and everyone drank off the contents of the cup; why is it necessary for the disciples to partake of this cup? because though he had not yet been crucified to shed his blood for the redemption of sins, he knew his fate, that he will have to suffer, crucified, buried, and resurrect, but with his suffering blood, there will be remission of sins. cf. 26:28; therefore, as we part take of his Sacraments, let us forget not the reasons behind what we practice, cherish, give thanks to Jesus Christ our Lord and Savior for redemption, salvation, free grace. and everlasting life. Beloved, throughout the ministration of Jesus Christ, he prayed to God, for every endeavor; if the Son of God acknowledged him as the source of his strength to do his will; my friend, let's also do likewise, pray for his assistance in everything we do, cf. Ephesians 316; never allow a day go by without a prayer, or give the enemy the chance to pester us; prayer is the key to victory over the enemy, child of God, pray without ceasing. cf. Thes. 5:17! Continue to Love one another! Jesus is coming back again, repent ye, and believe the gospel! My Peace and Love be unto you! Amen and Amen! (KJV.) Psalm 116:13 I will take the cup of salvation, and call upon the name of the LORD. Grace be unto you! In the beginning when God created the heavens and the earth; ...... his Spirit, moved upon the face of the waters, cf. Genesis 1:2; water came into existence together with the earth, it is an essential sustenance for human survival on the earth, the man can go without food for many weeks, however, without water consumption, it is only a matter of time, before the spirit of the man, evaporates from his mortal counterpart; after the man was created, though it did not rain upon the earth at a time, there went up a mist from the earth, and watered the whole face of the ground. cf. Genesis 2:6; essentially, it is the same water you and I drink every day to quench thirsty souls. There is another form of water, this type of water is not tangible, naked eyes cannot perceive, but it is supernaturally engineered from heaven by Jesus Christ, peaceful to experience when poured upon souls; this is the water refered to by Jesus in the above text, the anointing oil from the Holy Spirit, which descends upon believers, imparts the attributes of Christ into their innermost spirits, to transform their lives and enable them to walk in his righteousness; he spoke to the woman at the well, about this water as well, cf. John 4:10; whenever the Holy Spirit anoints a believer, as in a mighty fortress of Jesus Christ, he/she is being nourished and strengthen from on high with the attributes of Christ, to bear fruits of righteousness. When a believer is filled with the Holy Spirit, his/her attributes will exemplify Christ, overflows with the concerns to help others, love, care, minister, do goodwill and share the blessings of the Holy Spirit's anointing; therefore, it is essential that we seek the anointing of the Holy Spirit whenever we pray, worship, asking to be filled with his attributes; for, it is the spirit that quickens, the flesh profited nothing. cf. John 6:63; because the Holy Spirit is the living water promised by Jesus unto his disciples, cf. Acts 1:5, fulfilled, Acts 2-4; believers proclaim the name of Jesus when the Holy Spirit quickens their mortal bodies. Beloved, Jesus promised to give the living waters to anyone who believes in him; therefore, it is for free, no gimmicks, buts or ifs; all one has to do is to accept him into their hearts as Lord and Savior, to drink of the living waters, salvation, free grace, and everlasting life; therefore, if there is anyone among us today, who is still pondering over the decision to come to Jesus, I encouraged you to take the necessary step, surrender to him before it is too late, the end times are upon us, Jesus is coming back again soon. Let us love one another as ourselves! My Peace and Love be unto you. Amen and Amen! (KJV.) Proverbs 25:25 As cold waters to a thirsty soul, so is good news from a far country. (10) Now when Daniel knew that the writing was signed, he went into his house; and his windows being open in his chamber toward Jerusalem, he kneeled upon his knees three times a day, and prayed, and gave thanks before his God, as he did aforetime. Grace be unto you! There are many faithful servants of God, recorded in the scriptures, out of them were other three called, Noah, Daniel, and Job, who he qualified as righteous, cf. Ezekiel 14:14-20; however, to what degree should anyone serve God, to get his attention, qualification, and approval? Hang in there with me, let's hit on the nail together. In a nutshell, let's study the lives of these three faithful men; Noah, believed, obeyed the words of God, to build an ark for an oncoming flood waters, he preached to the people, warned them about God's instructions to repent from their evil ways, they did not listen to his warnings, but continued in waywardness, eventually he completed the building of the ark, the flood waters came, cf. book of Genesis 6; Job, the man of God, though Satan, pestered with his life, destroyed all his worldly possessions, sent torments unto his soul, he did not curse God, but remained faithful to him, cf. book of Job; Prophet Daniel was righteous, feared God, worshiped and prayed to him; because of his faithfulness to God, enemies ganged up, formulated lies to King Darius in writing to sign a decree that whosoever shall ask a petition of any God or man for thirty days should be cast into the den of lions; what a trap! After the decree was signed, Daniel still believed in God, continued to pray and give thanks to him, however, his faithfulness brought persecution and judgment upon him, he was thrown into the den of Lions to perish, but God was faithful as well, he delivered him out of the mouths of the lions, they did not devour him, cf. Daniel 6:7-24; therefore, today, if there is anyone among us, who are being persecuted for righteousness sake; I encouraged you not to worry, be faithful still, continue to do the will of Jesus Christ, no weapon formed against you shall prosper, he will deliver you from the hands of your enemies. Beloved, when in persecutions, if possible, fast, pray and give thanks to Jesus Christ our Lord and Savior, leave all allegations upon his shoulders, trust him that he took all our troubles away by his sufferings, death, and resurrection, set us free forever, and whoever he sets free, is free indeed; therefore, be happy, and focus on him! he is coming back again soon. Continue ye in Love! Peace and Love be unto you! Amen and Amen! Grace be unto you! Treasures are cherishable, imperishable, valuable riches, that are normally stored away in hidden places, such as, the bank safe deposit box, or perhaps in home mounted safe boxes; physically, they are tangible riches such as the gold, silver, diamond, jewels, money, guns and precious stones; there are spiritual treasures as well, these treasures are not tangible for human perception, but can only be discerned with the power of the holy spirit, they are stored deep down inside every believer's innermost spirits; therefore, believers are worthy mortal souls, with power on the inside, we are not alone in the righteousness of Jesus Christ, we are packaged with gifts and talents stored within our innermost spirits, that whatever we do may be of God, and not to our own glorifications. Gracefully, whenever the Holy Spirit descended upon a soul, there is a peaceful wind of sensation incorporated with his presence, to pour its anointing oil upon that soul with a purposeful essence, to fertilize, nurture, their spiritual gifts and talents, that are already planted in their spirits, cultivate the gifts, strengthen its roots to grow, and bear good fruits; therefore, during the Lent season, the anointing oil vials of heaven open up to anoint believers who would seek the face of Jesus Christ for spiritual power; we are in the appropriate time frame to ask for greater anointings of the Holy Spirit, for his good works; let's ask, it will be given to us, seek, we will find, knock, the door will be opened. cf Matthew 7:7; before we ask, seek, knock on the door; Jesus already answered our prayers. Beloved, the point is, the treasures within us, is what we rely on to do the will of Jesus, it is not of ourselves to know how to do anything for Jesus, he is the vine, we are the branches, without him, what can we do for him? cf. John 15:5; therefore, let us not waste the excellency of the power of God, within us, rather, be aware that we are treasures in earthen vessels, discern behaviors that contaminate the spirits, avoid them, to keep our vessels in sanctification and honorability, utilizing its spiritual powers for the benefit of others. Continue ye in Love! Peace and Love be unto you! Amen and Amen! (18) But it is good to be zealously affected always in a good thing, and not only when I am present with you. Grace be unto you! At certain point in our lives, there is a burning sensation that fires within our souls, this type of a sensation, energizes our spirits to go above and beyond the norms, fervently engage ourselves in doing more of whatever we desire to do; however, when one is caught up in certain practice or behavior, it can either be psychologically harmful or spiritually beneficial to that individual, produce a negative or positive influence on others; therefore, let us ponder on what we focus on, engage in, cannot forgo, do without, on daily basis, search our hearts to discern, if that behavior is positively or negatively influencing others. In this twenty-first century, calamities are happening over the world, simply because, at times, we pay too much attention to cell phone gadgets than oncoming traffics, as a result, many lives were lost in automobile accidents; for example, some of us, spent time bonding with cell phones, text messages, watching television, prefer peaceful times with electronic gadgets over quality times with loved ones, as a result, our spouses and children cry out for lovely associations, to silence our kids, we get them their own gadgets, to separate them from bonding together with us, that we may spend times with whatever we enjoy doing; don't get me wrong, I have nothing against cell phones, I am speaking to you and myself; the point is, as we excessively engage ourselves in what we like to do, at times, we disengage ourselves in love relationships, which can cause an emotional negligence of love, which can affect the household, and whatever affects this type of a foundation, the building structure is easily destroyed, cf. Psalms 11:3; therefore, going forward, let us pay more attention to what is going on around us, get emotionally and physically involved with loved ones and others. Beloved, if at all cost, we are to be fervent in doing anything, let it be to the glory of Jesus Christ our Lord and Savior, not only to attain his favors but wholeheartedly serve one another expecting nothing in return, he perceives our benevolent works, and surely rewards accordingly: therefore, there is nothing wrong with doing something out kindness to others; such as, checking the mail for the elderly next door neighbor on a snowy day, helping someone with groceries to their car, or to hold up a door for the next person walking up to a building; this little act of kindnesses goes a long ways in the righteousness of Christ: therefore, let us do good in good pleasures! Continue ye in Love! Peace and Love be unto you! Amen and Amen! (KJV.) Proverbs 3:27 Withhold not good from them to whom it is due; when it is in the power of thine hand to do it. (2) Bear ye one another's burden, and so fulfill the law of Christ. Grace be unto you! Considering the fact that we are of the same heavenly Father, with one spirit, baptized into Christ; inferentially, we are brothers and sisters in this world, if that is correct, then, though we are spread upon the face of the earth, we bound up in spirit, as a family, and families care about what happens to its members, because of the love for one another; regardless of our perceptions of creation, there is one common ground, that no one can oppose, that is, the love of God, the Father, Jesus Christ, our Lord, and Savior, is in the center of it all. If we love one another as brothers and sisters, in this world, there should be no striving, hatreds, deceptions, murdering, robberies, gossips, enviounness, backbitings, stabbings etc., rather, love will reign in our hearts towards others, when they hurt, we feel their pains together, not that alone, but seek to care about what may be the reason of their sufferings, offer an assistance; let not our hearts be hardened towards our brothers and sisters in sorrowful situations, reach out and touch a wounded heart, endeavor to uplift their down struck spirits with words of comfort, that of Jesus Christ's agape love; at times, just a text message or phone call to say hello to others, can uplift a suffering spirit from brokenness; therefore, let the spirit of love dwell richly in our hearts, to care and fulfill the law of Christ. Beloved, the law of Christ is, Thou shalt love thy neighbor as thyself. cf. Matthew 22:39; if we can endeavor to obey this law, one step at a time, his blessings of peace will reign supreme upon the earth; we will not only love but look up for other people's welfare, and live peaceably with all men. therefore, let us love one another as ourselves! Peace and Love be unto you! Amen and Amen! (KJV.) Proverbs 22:11 He that loveth pureness of heart, for the grace of his lips the king, shall be his friend. Grace be unto you! As a mother who raised up four children, my heartfelt sympathy goes to the parents, husbands, wives, grandparents who lost beloved ones at the Florida school shootings last week; may the Almighty creator of heaven and earth, wipe away your tears, strengthen you through these difficult times; and may the departed souls, rest in perfect peace with Jesus Christ our Lord and Savior. Amen! As strong as we are as a nation, there is a drop of oil in our bucket of water; one ruler comes into office, the stain is there, serves his time, another comes, yet still the massacre continues; where do we go from here? Many times, we've thought otherwise; it really doesn't pertain to me, it does not concern me; however, this type of behavior is being happened momentarily over the country, I pray that it doesn't happen close to home; the bottom line is, as parents, let us do more for our kids, not only in the essence of providing material possessions but embracing them with warmly love, hugs, kisses; caring for their physical and emotional needs, pay close attention to what they are doing, especially with technological gadgets, ask few questions, getting involved with school projects, checking their home works, communicating with them on daily basis; most parents are already involved with their kids, great! But a few of us need to relate, bond with our kids a little bit more than what we do now; though these parental attitudes may not be enough to eradicate the gun violence in schools; if we pay closer attention to what our kids do, their emotional stabilizes, the chances are we will detect the flaws of evil works from the home front, iron them out before it escalates into the world to affect others. Beloved, we are a work in progress, there is no one righteous, cf. Romans 3:10; therefore, let us not blame ourselves or anyone for such matters; rather, come together as believers, deliberate on the issue, pray our concerns to Jesus, ask for his divine intervention, to inspire our governing authorities to make this issue one of their priorities, starting from the current educational system, while we train our children with godly manners, which will affect positive changes in this world of darkness. Let us Love our children as we Love ourselves! Peace and Love be unto you! Amen and Amen! (KJV.) Proverbs 20:5 Counsel in the heart of man is like deep water, but a man of understanding will draw it out. Grace be unto you! God is Love! cf. 1 John 4:8; he loves his children so dearly that whenever he hears their cries, his bowels yearn, to intervene, wipe away their tears, comfort them with hearts desires. As an earthly Father loves his children, to train them with godly manners, teach them how to have respect for elders, keep themselves from wrong associations, be responsible for wrong choices, actions, and behaviors; reproves, counsel, or chastens them when in disobedience to his words, to guide and order their footsteps in his righteousness; guess what? it is the same with God, our heavenly Father, physically, we can not perceive his hands of chastening upon our souls; yet, at times, he can do more chastening to a stubborn child than what an earthly Father would normally do; regardless, he chastens not to hurt our feelings, because he feels our sadness when we hurt and cry; but out of love, he chastens to reprimand his children to turn away from waywardness to godliness. The fact is, he does not chasten without initial warnings, hear me, warnings, he gives his children his warnings, times and times again to correct themselves, before he uses his parental authority over them; therefore, let us listen to obey the words of Jesus Christ, whatever he says, let's do it, without hesitations to receive his blessings, avoid the enemy chastening; at times, the enemy of our souls, who had made himself the disciplinarian of men, though, he infiltrates our hearts to go against the words of God, turns around, allegates and bring afflictions upon our souls, whenever we walk in disobedience to the words of God; though, the concept of chastening is to correct the soul to walk in righteousness, not all chastening come from God, the Father; many chastenings are the enemy of our souls, but God, the Father allows him, until we correct ourselves, pray, cry out to him, then, he rebukes the enemy away from us; therefore, God is not a respecter of man, cf. Acts 10:34; therefore, let us walk in obedience to his words to avoid chastenings. Beloved, we all at certain points in our lives, have walked in ways displeasing to Jesus Christ our Lord and Savior; however, he does not condemn anyone for wrongdoings on earth, he cautions souls to turn away from waywardness, repent, come into his righteousness, have salvation, free grace, and everlasting life; he does not give up on souls but continues to beckon them to come, once we sleep in death, our spirits are accessible to judgment before Jesus, there is no turning back, no more forgiveness, repentance, but either damnation or everlasting life; therefore, let's fervently seek life! Jesus is coming back again soon! Peace and Love be unto you! Amen and Amen! (KJV.) Proverbs 12:24 He that spareth his rod hateth his son; but he that loveth him chasteneth him betimes. Grace be unto you! In the beginning was the Word, and the Word was with God, and the Word was God. cf. John 1:1; therefore, the Word existed with God, within his Deity before everything else was created including the man; after creation, God gave the man his words, recorded as scriptures, to guide, order his footsteps throughout his days on earth; therefore, whenever we read his word, we feed our spirits with his wisdom, acquiring his knowledge and understanding; adhering to his principles, is obedience, rendering salvation, free grace, peace, hope and eternal life; therefore, brethren, it is imperative to feed upon the Word every day, for our lives depend on it, without the Word, our vessels are empty, bearing not the fruits of righteousness. By reading the Word, we plant spiritual seeds of greatness, enriching innermost spirits with fruits of the spirits, bearing the fruit of love for self and others, having joy, and peace within and without, long-suffering, endurance, perseverance and tolerances, gentleness, goodness, faith, meekness, temperance, cf. Galatians 5:22; empowering us with wisdom, knowledge, and understanding, to preach the gospel truthfully, teach. minister and counsel others through psalms, hymns, spiritual songs, singing songs of praises, referencing, and glorifying the Lord, in our hearts; the Psalmist wrote, Let everything that hath breath praise the LORD, Praise ye the LORD. cf. Psalm 150:6; therefore, let us praise the Lord always, where ever we are, in our body and spirits, when praises go up, blessings come down! Beloved, having the Word richly in us, suppresses lustful desires, strengthen innermost spirits in his righteousness, having Christlike attitudes towards others; appreciating his agape love, to love one another likewise, undeserved salvation, unmerited free grace, peace, joy, hope of his second coming and everlasting life: therefore, if there is anyone among us, who is still contemplating, not certain yet to give him/herself to Jesus Christ; I encourage you to accept him into your heart, it is worth your life; talk to him whereever you are right now, he can hear your whisper, he will receive you; time is running out for souls to come unto him, he is coming back again soon! Continue ye in Love! Peace and Love be unto you! Amen and Amen! (KJV.) Proverbs 13:13 Whoso despiseth the word shall be destroyed: but he that feareth the commandment shall be rewarded. Grace be unto you! "Give me Jesus!" With Jesus, there is salvation, which is deliverance from the power, and penalties of sins, free grace, the priceless love, liberty, kindness, goodness, and mercies that endures forever. Jesus is the word of God, the Father's mouthpiece, used to create all things of the heavens and on earth. cf. John 1:1-5; therefore, Jesus is all that we need in this world; if we accept him into our hearts, as Lord and Savior, believe in him, since Jesus is the spirit, indwelling all the things of creation, we have everything that belongs to him as well; therefore, he said, But seek ye first the kingdom of God, and his righteousness and all these things shall be added unto you. cf. Matthew 6:33; therefore, let's embrace Jesus, he the right way to eternity, he is coming back again soon. In a nutshell, Jesus was getting ready to face his trails in Jerusalem, knowing what will happen to him there, he advised his disciples, in segments, saying, If any man will come after me; that is if any man decides to be his witness, following him; one has to deny himself; to deny one's self, is to restrict, refrain self from satisfying worldly heart desires or wants, exercising self-control, cast away the things of the flesh, in other to focus on the spiritual; take up his cross, which means to embrace one's calling, whether as an evangelist, a missionary, etc. ; and follow me. that is, to get physically involved, inside the vineyard, hands-on, work for Jesus, for he said to his disciples, The harvest truly is plenteous, but the laborers are few. cf. Matthew 9:37; today, if we should hear his voice speaking to us, let us listen attentively to what he is saying, obey his words, follow him, do his will. Beloved, believers are in the Lent period, let us have soberly reflections, so that the Holy Spirit, can breathe his anointing powers upon our souls, empower, strengthen our innermost spirits for his glorification and good works. Follow Jesus! Continue ye in Love! Peace and Love be unto you! Amen and Amen! (KJV.) Proverbs 21:21 He that followeth after righteousness and mercy findeth life, righteousness, and honor. Grace be unto you! "I have faith in Jesus Christ as Lord and Savior!" This is a true statement for believer to ascertain; however, to authenticate our faith in him, we are to love our fellow brothers and sisters as ourselves, for faith works through love; if we really have faith in Jesus, let it show in the way we love and relate to the people we come in contact with everyday, it should not matter to us, who they are, where they originated from, because love breaks down spiritual and physical barriers and prevails against all odds. Therefore, so far as Jesus Christ is concern, in his perception, souls roaming around everywhere on earth are equal to one another, there are no specific categories, social or racial backgrounds, barricades of ethnicities, diversities of nationalities, genders or skin colors; but a soul, is a soul in a mortal bodysuit; therefore, he looks upon the earth, searching the hearts of men to perceive his attributes of love, faith, meekness, kindness, forgiveness, and goodwill; if he finds any, he shows himself strong in their spirits to pull them closer to his calls, chooses, glorifies them as servants of his vineyard of glory, his body; those of us, who are workers of his vineyard, as we continue to trust in Jesus, let us show how much we care about people, not only in the faith establishments, but to those who are still in the world of darkness, yet to receive Jesus Christ as Lord and Savior, reach out and touch someone with the agape love of Christ. illuminate the hearts of men! Beloved, this week is a week of showing love to people, if we have faith in Jesus, this is the time to show our love to others: let us love one another! cf. John 13:34-35. Peace and Love be unto you! Amen and Amen! (KJV.) St. John 15:12 This is my commandment, That ye love one another, as I have loved you. SEEK THE BEST FOR OTHERS! Grace be unto you! As the believers of Jesus Christ our Lord and Savior, it is imperative, that we exemplify the following attributes; holiness, mercies, kindness, humbleness of mind, meekness, long suffering, forbearing and forgiving one another, cf. 3:12-13; the most important attribute of all these attributes is charity; charity, per dictionary definitions, are as follows, good gestures, alms, the generous actions, donations given to aid the poor and needy, ill and helpless; the meaning of charity, in this case, is the agape love for one another; therefore, if we love one another; Christly, think good thoughts, to inspire and encourage, motivate cheerfully to bring the best out of others. This type of charity, is the agape love for one another, that when exemplified, the world would be a better, peaceful place of habitation; for, enviousness or striving spirits, to rob and kill for things of this world, would have no place to dwell within our innermost spirits, love is a greater attribute that can overpower all the evil attributes, to act out of love, the man has to, first of all, think about love, for whatever we think about, consequentially, engineers our hearts to take action, that is the reason why we ought to be alert to our thoughts, to cast away the evil surmising spirits, what we think of momentarily, can be either beneficial or dangerous if actions are taken, therefore, before we take any type of action that will affect souls; let us ponder on it, ask ourselves, will this type of action hurt or uplift others. Beloved, it is rightful to set good examples, of what we believe in the faith of the righteousness of our Lord and Savior Jesus Christ, that our actions and behaviors speak for themselves that we are true believers, since we dwell in Jesus, and he glorifies himself in God, the Father; who is the resource of love; let us exemplify his loving wells flowing with milk and honey, passionate, tender loving cares, for others as we desire for ourselves. Set an example, show Love to one another! My Peace and Love be unto you all! Amen and Amen! (KJV.) I Peter 4:8 And above all things have fervent charity among yourselves: for CHARITY SHALL COVER THE MULTITUDE OF SINS. (14) O my dove, that art in the clefts of the rock, in the secret places of the stairs, let me see thy countenance, let me hear thy voice; for sweet is thy voice, and thy countenance is comely. STIRRING THE POT OF LOVE! Grace be unto you! Stirring the pot of love! Hear this! For God so loved the world, that he gave his only begotten son, that whosoever believeth in him, should not perish, but, have everlasting life. cf. John 3:16; therefore, love is the greatest attribute of God, the Father, if we are created in his likeness, given his breath of life, then were are mini-gods walking on earth; now, how can we not bear his same love attribute towards fellow brothers and sisters? Great question to ponder! Many times, the man engages himself in so many different types of projects, in the secular world, and at home during his vacation days, so that, he could barely have the quality time to spend with love ones; the bottom line is, the enemy knows how powerful loving one another is; therefore, he attacks the family's love roots with desires of the heart, using the televisions sets, phone gadgets ipads and ipods to distract the attention from the loves ones, taking quality time away from having a bonding relationships with one another; inadvertently, the world is missing out on the emotional aspects of what love is really about, replacing with technological toys, and wealthy heart desires, even toddlers of this generation, nowadays prefer to spend time with cell phones and ipads than sitting on the lap of their parents, or grandpas, and grandmas; time with any type of gadgets, can be quality time taken away from loving relationships; let's take a note of what to do about some of these technological distractions, which is gradual, unconsciously replacing quality time with love ones. Beloved, if the lack of loving one another appropriately is the problem of this world; what can we do about it? The following are a few thoughts; first of all, to love others as ourselves, we must, know that God, our creator is full of loving, he loves us so much, that he gave his only begotten son, to be crucified and resurrected for us; secondly, let us love ourselves in him, regardless of people perceptions; thirdly, ponder to discern the purpose of what loving others will accomplish in this world, that the world will be a better place of habitation; fourthly, if we agree that love should be in the center of this world; then, let's complete the love circle ship, starting from the home front into the entire nations of the world; notably, whenever the man gives out of love, whether a smile, hugs, kisses, winker eyes, or in a form of gestures; the man himself, receives a reciprocal love, with the innermost joy and happiness; therefore, it is a blessing for you and me, to love and care about others as ourselves. My Peace and Love be unto you! Amen and Amen! (7) Tell me, O thou whom my soul loveth, where thou feedest, where thou makest thy flock to rest at noon: for why should I be as one that turneth aside by the flocks of thy companions? Grace be unto you! The book of song of Solomon is basically a symbolical narrative song, the above text I believe was written by the Shunammite girl in King Solomons camp carefully study, 1:1-3:5; symbolically, many believe that King Solomon spoke about God, and his bride, Israel, or the Queen of Sheba, who was in love with him at the time; regardless of any interpretation; Love is in the center of it all! Therefore, let's pay close attention to what the text is saying, endeavor to express Love, embrace Love, impart Love to other people! The Valentine's day is almost here; therefore, let us talk about love; Some of us, are currently in matrimonial relationships, others are engaged yet to be married to love ones, a few more are still searching for the perfect love; today, if there is anyone among us, who is currently searching for a love relationship, you are not alone; I encourage you to pray for Jesus to bring you the perfect partner, for I believe that there is someone, somewhere for everyone, and only God can connect two people together with his love, to be in a perfect love relationship, live happily, and peacefully together. Case in point, God, the Father created every living species in pairs; for the fact that, he wanted them to be fruitful, multiply, replenish the whole earth; cf. Genesis 1:22; 1:28; as a result, when he created Adam, in the garden of Eden, he said, it is not good that the man should be alone, I will make him an help meet for him. Genesis 2:18; therefore, he made deep sleep to fall upon Adam, took one of his ribs, made a woman and gave her to him as a wife. cf. Genesis 2:21-24; therefore, it wasn't the intention of God, that the man should live alone, but to live happily with a beloved woman; those of us who are still waiting for Mr. Right to come into our lives, let's not give up the search through prayers and supplication to Jesus Christ to connect us to the right soul mate designed for our lives. Those of us who are already in love relationships, keep the love torchlight burning, the presence of God, the Father, and that of Jesus Christ are always in the midst of love relationships; many of us do not express love physically, until Valentine's day; well! That is a perfect day of opportunity, go above and beyond, do something special to show love to the people we cherish in life, do not forget the dating relationships, mothers, fathers, brothers, sisters, friends, and family members; reach out and touch someone with agape love; wish them a Happy Valentine's Day! Continue to Love one another as yourself, God is Love! Peace and Love be unto you all! Amen and Amen! (24) The way of life is above to the wise, that he may depart from hell beneath. Grace be unto you! The way in which we live our lives on earth will determine final destinations of life; therefore, while we are still among the living, let us continue to make wise choices, such as, to know Jesus Christ, as our Lord and Savior, having a personal relationship with him, walk in his righteousness, believing and trusting in him, as well as loving, caring and treating other people as ourselves. The fact is, no one knows for sure when Jesus Christ will beckon him/her to come back home for their final rest; therefore, whenever we receive his living grace to wake up in the mornings, let us offer prayer of thanks to him, for keeping us alive, and to order our footsteps in his righteousness, grant victories over negative circumstances that may rise up against us throughout the day, bless all our undertakings. Fruit of thoughts, life is basically how we live it; process through our mindsets, incorporated into daily activities; despite that, time and tide wait for no man. cf. St. Marher in 1225; therefore, if we do not make rightful choices in life, we may lose out on life, the biological clock of life does not go anticlockwise, but ticks momentarily, going forward, unconsciously, our mortal bodies wore down, life is passing away every hour, minutes and seconds, adding up to years; therefore, it is a great value for souls to walk in the righteousness of Jesus Christ our Lord and Savior, focus our minds on eternity the final destination for believers; if we ignore who Jesus is to us on earth, he will cast our souls away from him in eternity into Hades' damnation. cf. Luke 13:27; therefore, let's be high mindedness into eternal life, to be lower mindedness of Jesus, may lead to eternal death; such is life! Beloved, life is good but passes away quickly, the moment we are alive, the next moment, we are gone with the wind! therefore, let us live life to the fullest, be happy, avoid the things that make us feel unworthy of life, the sadness, fears, worries and anxieties are of the devil, surrender all cares unto Jesus Christ, trust him to take control, no matter what the circumstances dictate, be strong in his might, have a clear conscience, giving people the benefit of the doubt, without judgments, forgiving others who may have offended us, embracing people from all walks of life, as brothers and sisters of the same heavenly Father, with tender loving cares, knowing that every day of our lives, could be the last day of our lives. Love one another! Peace and Love be unto you! Amen and Amen! NEVER STOP PRAYING, JESUS ANSWERS PRAYERS! Grace be unto you! Prayer is a habit to be escalated by faith in Jesus, to believe that as soon as we pray to God, the Father through his holy name, our voices are being heard, and if he hears us, we receive what we desire, cf. Matthew 7:7; if due to the warfare of principalities in higher places of authorities, in the kingdom of Satan, assigns demonic powers to hinder answers to prayers, cf book of Daniel 10; as a result, the answers to our petitions do not manifest instantly; regardless, let's not give up praying, lose hope in Jesus, that he cannot answer prayers, throw in faith towels, backslide from his righteousness; rather, take the necessary steps, to pray persistently, continue with the petition, withholding the face of God, through Jesus Christ our Lord and Savior; if, at all costs, speak in tongues, the angelic languages of the holy spirit, cf. Acts 2:4, beseeching prayer requests with psalms, songs of praises, thanksgivings, earnestly entreating, and for all believers. Beloved, prayer is never enough; Jesus at the garden of Gethsemane, prayed to God, the Father for his mercy, supplicated that, if possible, not to drink out of his bitter cup of sufferings, trials, and crucifixion; surprisingly, were his prayers answered by God? No! God didn't rather he turned his face away from him, as Jesus persistently pleaded his case behind his back; since he had to go through it to redeem you and me, Jesus finally, said, "O my Father, if this cup may not pass away from me, except I drink it, thy will be done." cf. Matthew 26:42; consequently, not all petitions are favourable to God; at times, he tunes our requests off; if it is not in his will for our lives, no matter how persistently we pray, his will, shall be done; however, if petitions are in his perfect will for our lives, nothing can stop his manifestations, there may be delays, but they are not denials, it is only a matter of time, against evil works; with fervent prayers, it will surely manifest; therefore, never give up hope in Jesus, continue persistently in prayers, remembering love ones and others in the household of faith, and outermost world; the effectual fervent prayer of a righteous man availeth much. cf. James 5:16; therefore, never stop praying, Jesus answers prayers! Continue to Love one another! Peace and Love be unto you! Amen and Amen! (6) For to be carnally minded is death, but to be spiritually minded is life and peace. Grace be unto you! As we already know, the man was created by God, the Father, and out of the dust of the ground, cf. Genesis 2:7; besides his breath of life which runs in the nostril of the man, there are other three things that bear witness to the authenticity of the man; and that is, the spirit, the water, and the blood; these three agree in one. cf. 1 John 5:8; incomprehensibly, the spirit of man, intermeddles with the blood, supported by the water, which purifies the system, nourishing, refreshing the mortal body; without these three necessary aspects of the man, we are nothing but just clay to trample on the ground, if the enemy tries his own illusions to create another version of the man, without the original blueprint, the DNA of God, he cannot duplicate the works of God, but create his own zombies. The mortal part of the man is his flesh and spirit; though they both need each other to function as a soul, they disagree to agree at all times; the flesh perceives things of the world, desires to have what it sees around him, the spirit, on the other hand, perceives the things which are of the spirit, incorporates them into the flesh; the fleshly aspect of the man has always been carnal, while his spirit though indwelling the body, resides in the realms of the spirits; basically, they both struggle against themselves, either to resist or accept temptations; if we lust after the flesh, chances are we will fall into the temptations, fulfilling the desires of the flesh, the lust of the eyes, to attain the riches of the world, the pride of life. cf. I John 2:16; if we allow the spiritual aspects of our lives, to overpower the fleshly desires, the heart desires are controllable by the spirit, not to indulge in the sinful behaviors of our past lives. Beloved, what we perceive around us, how we react, matters to the spiritual aspects of our lives if we are carnally minded, we are on the wrong pathways of life which leads to eternal death; it's turnaround time, be spiritually minded to have peace, and eternal life; as we read the scriptures, we strengthen the innermost spirits to overpower the fleshly desires we perceive on daily basis, keeping things under control, walking, dwelling in the righteousness of Jesus Christ our Lord and Savior: therefore, let us submit ourselves to Jesus. Resist the devil, and he will flee from us. cf. James 4:7. Continue ye in Love, as Jesus loves you! Peace and Love be unto you! Amen and Amen! Grace be unto you! God is not a man, that he should lie; neither the son of man, that he should repent: hath, he said, and shall he not do it? or hath he spoken, and shall not make it good? cf. Numbers 23:19; therefore, if God speaks his promises into our lives, come what may be, it will come to fruition because his words are established as speaks, and faithfulness is forevermore. Let's check some of his records; for example, he spoke the holy fold into existence, cf. Psalm 33:6; created the heavens, and earth, the entire universe of glory, and its contents with word of mouth; formed the man out of the dust of the ground, cf. the books of Genesis 1-3; the man is special, isn't it? ; now, know why the devil is jealous of him, always pestering with the man; the flood waters of Noah, cf. Genesis 6:7; his promises to Noah, and his lineage, cf. Genesis 9:9-17; his promises to Abraham regarding his lineage, cf. 15:3-18; (the promises of the Father of nations,) 17:4; (God changed his name from Abram to Abraham, made him the Father of many nations, kings shall come from him. ); 5-6; (established everlasting covenant between him and Abraham, to be a God unto them and their seeds forever. );7-8; (the promise of the birth of Isaac, the everlasting covenant with him and his seeds.) 18:9-14; these are just a few, there are many more recorded in the scriptures, of how God gave his promises to the man, and watch over his words to fulfilled appropriately; therefore, if there is anyone among us, who received a word of promise from Jesus Christ, yet to be fulfilled; be encouraged, to trust and wait upon him, for his words are "yeses, and amens" they are already fulfilled at the time he spoke them into existence, have patience, and wait upon the manifestations. Beloved, if we are currently in the waiting rooms, for promises of Jesus to be fulfilled in our lives; let us mirror the above text, see for ourselves how the favors and deliverance's of the Lord, come suddenly to those who can wait patiently for his appointed times the fact is, none of our petitions, prayers, supplications, thanksgivings while waiting are done in vain, Jesus hears and answers to prayers, but at the appropriate times, when the time comes, nothing can delay the manifestations so, if we have been waiting to receive any promises of Jesus Christ our Lord and Savior; today, I say, congratulations to all! For we are in the days of the favors and deliverance's of Jesus, to be grafted into his promises for our lives. Continue ye in Love! Peace and Love be unto you! Amen and Amen! (KJV.) Isaiah 49:13 Sing, O heavens; and be joyful O earth; and break forth into singing, O mountains: for the LORD hath comforted his people and will have mercy upon his afflicted. (4) Thou shalt no more be termed Forsaken; neither shall thy land any more be termed Desolate: but thou shalt be called Hephzibah, and thy land Beulah: for the LORD delighteth in thee, and thy land shall be married. (5) For as a young man marrieth a virgin, so shall thy sons marry thee and as the bridegroom rejoiceth over the bride, so shall thy God rejoice over thee. WE ARE NO MORE FORSAKEN! Grace be unto you! Life in general is meant to be pleasant, enjoyable, sweeter than honey for the man; however, at times, it can turn sour as grapes, when we find ourselves withering the storms of life, overwhelmed with the cares of this life; today, if there is anyone among us, who is worried over any predicament; I encouraged you to exercise faith in Jesus, by hearing of his words, trust and relax yourself in him, knowing that you are not alone, he heard your prayers, has not forsaken you, but working on all your prayers together for a complete better results, yet to manifest by his grace. let us study the above promises, spoken of Prophet Isaiah together, in segments; (i) Thou shalt no more be termed Forsaken; therefore, if we felt alone in life, abandoned, deserted, helpless in any type of a situation; though we felt that way before in the eyes of men, going forward, we are no more forsaken, but redeemed of the Lord, and valuable in his eyes; (ii) neither shall thy land any more be termed Desolate: therefore, we are no longer lonesome and desperate from human perception, as the poor, needy, wretched and miserable people, but are now the delightful people of Jesus Christ, for his grace is now upon our souls; (iii) but thou shall be called Hephzibah, and thy land Beulah; Hephzibah, per bible dictionary means, "my delight is in her. "; therefore, though we felt deserted, the Lord is delightful in us, our land will never be termed as a barren land, rather the fruitful habitations; because the Lord delights in us, going forward, we shall not lack anything, he will take care of all our heart desires because of his agape love for souls and unfailing grace. Beloved, as we walk in the righteousness of Jesus Christ our Lord and Savior, there is nothing he cannot do for us, if we trust in him; because, what we worry about in this world, has never been an issue, so far as he is concern; for, all things are possible in his jurisdiction, and if we dwell in him, our troubles are his troubles, if we cast all our cares upon him, for he cares for our souls. cf. I Peter 5:7; therefore, we are not forsaken by Jesus, O' never ever! Trust in him! Contine ye in Love! Peace and Love be unto you! Amen and Amen! (KJV.) Psalm 37:27 Depart from evil, and do good; and dwell for evermore. Grace be unto you! I am not sure if anyone else feels the need to appreciate, Jesus, more than I do today; but, if there is, join me to thank him, for his grace upon our lives; miraculous things he does for you and me, on daily basis, not because of privileges, but because of his grace, and his love for you and me; despite the fact, that he sacrificed his life on the cross to redeemed us from the bondages of sins, he is still in the redemption business, beckoning lost souls out of darkness unto him, for salvation, free grace, peace, joy, hope and eternal lives; we are certainly blessed of the Lord! Thank you, Jesus! To be the called of Jesus Christ, for any type of an assignment on earth, is not by negotiations, by his own jurisdiction and grace; for example, before, the man was created on earth, everything he needed to survive was already created for him, cf. Genesis 1, 2; at the time of creation, the man was not created yet, to have any input on how he would want to position the garden of Eden, its beautiful flowers, plants, and vegetation, it was all done for him by the grace of God, and his love to make his children happy, to be fruitful and multiply on earth; therefore, if we are in our callings, functioning as required, it is not of ourselves, but of the anointing powers of his grace, equipping, strengthens our spirits, the inner man to perform the duties and responsibilities for him; callings are not of ministries alone, but, whatever our assignments are on earth, to the will of Jesus, is an assignment for him. Prophet Isaiah, saw a vision, he heard the voice of the Lord, saying, Whom shall I send, and who will go for us? Then Isaiah said to the Lord; Here am I; send me. cf. Isaiah 6:8-13; therefore, the call is not of us, but that of Jesus; before we hear his voice calling us, he has something in mind for us to do for him; if we answer the calls in obedience to his words, he never leaves us alone, but glorifies himself through us, for the benefit of others; therefore, let us acknowledge his presence in our various callings, give thanks, praises, and adorations; we are not alone, doing his purposes, for, he is right by our sides, ordering our footsteps with his guiding light. Thank you, Jesus! Beloved, therefore, we cannot ignore the fact that we all need Jesus, in all areas of our lives, and if we agree that we do; then, let us not forget to acknowledge him for who he is, what he does for us, spiritually, and physically, thank and appreciate him every day for his agape love, forgiveness, goodness and mercies resources. Thank you, Jesus! Continue ye in Love! Peace and Love be unto you! Amen and Amen! (28) Let him that stole steal no more; but rather let him labour working with his hands the thing which is good, that he may have to give to him that needeth. Grace be unto you! After we are born again, saved and sanctified by the resurrection power of the Holy Spirit, there is a new beginning, life in Jesus Christ our Lord and Savior; our old selves, past behaviors, are done away by his blood; in the initial stages of the new beginnings in Jesus, at times, things can be difficult for some people, for the fact that, one has to cut away the cords of associating with sinful natures, what the enemy does is, he puts up a fight to convince saved people, giving them the reasons why they ought to continue to indulge in their past associations and behaviors; but the Holy Spirit does not allow his evil hands to withdraw souls who had wholly given their lives unto Jesus Christ, into darkness, he comfortly, peacefully, encourages the souls to do what is rightful before Jesus, transforming their lives in his righteousness into everlasting life. Therefore, there is now no condemnation to those who are in Christ Jesus, who walk not after the flesh but after the spirit. cf. Romans 8:1: gracefully, until the day of recon, on which we meet with him, believers are under the working progress of the Holy Spirit growing into spiritual maturities, it does not matter how old they've lived on the earth; therefore, it is imperative that we use the spirit of discernment at all times, to perceive fleshly matters, that we enter not into temptations; for the enemy, knows exactly what our evil desires were before we were saved, to attempt us again with the same desires; for example, if we use to be crafty, cheated others in our past lives, before we accepted Jesus, as Lord and Savior, guess what? the enemy will seasonally bring along those desires to our mindsets, reminding us of how wealthy and important we were, when we cheated, just to appease our spirits to indulge ourselves again, backslide into the past sinful natures which Jesus Christ redeemed us; with that in mind, whenever evil infiltration spirits attack our mindsets to backslide into past behaviors, let's rebuke them away, not that alone, but also, plead the blood insurance coverage of Jesus Christ, over our thought processes, we are more than conquerors. Beloved, it is better to have a clear conscience in life, do good works, and receive the blessings of Jesus Christ, be happy to enjoy life, sharing the blessings with others, than to live in fear and anxieties because of evil works. Let's do what Jesus Christ will do, resist the devil, and he will flee away from us; know that, Jesus Christ, is dearly in love with you! Peace and Love be unto you! Amen and Amen!